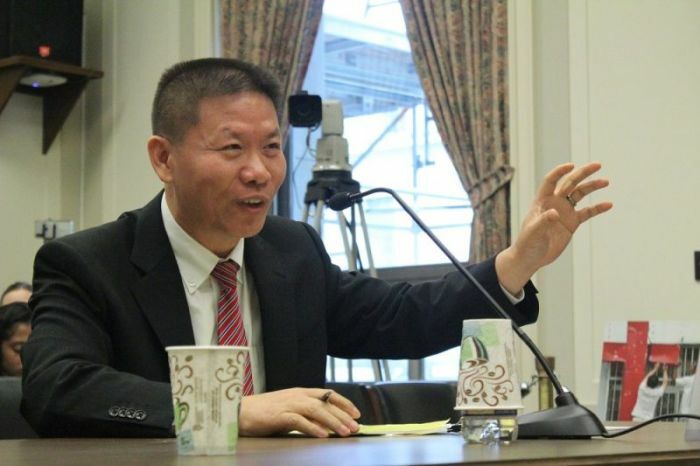 WASHINGTON — The Chinese government is supervising a five-year plan to make Christianity more compatible with socialism in which there will be a "rewrite" of the Bible, a prominent religious freedom activist has told Congress. At the center of this new level of persecution is China's new regulation on religious affairs that was released last year but enacted on Feb. 1. According to Fu, the revision of the religious regulations are to actively guide religion to "adapt to socialist society." Fu said that in order to comply with the new religious regulations, the Three Self Patriotic Movement and the Chinese Christian Council (China's state-sanctioned Protestant bodies) have developed a five-year plan on "promoting the Sinicization of Christianity." "For first time since cultural revolution, the communist party is now implementing a policy to mandate the Chinese faithful citizens to sign a form to renounce their faith," he said. "We have produced documentation showing [government officials] going door-to-door to force believers to sign a prepared form claiming that these believers were misled by evangelists into believing Christianity. Now, after a few weeks of self-examination and political studies, they have realized they made a mistake. This has not happened in the past." "[W]e believe and are obligated to teach all believers that all true churches in China that belong to Christ must hold to the principle of the separation of church and state and must proclaim Christ as the sole head of the church," the statement reads. "We declare that in matters of external conduct, churches are willing to accept lawful oversight by civil administration or other government departments as other social organizations do. But under no circumstances will we lead our churches to join a religious organization controlled by the government, to register with the religious administration department, or to accept any kind of affiliation. We also will not accept any 'ban' or 'fine' imposed on our churches due to our faith. For the sake of the Gospel, we are prepared to bear all losses — even the loss of our freedom and our lives." Activists have called on the United State government to label China as a "country of particular concern," a State Department designation that carries with it the potential for additional sanctions. Optimism was expressed during the hearing that the State Department could be on the verge of designating China as a country of particular concern. At its Ministerial to Advance Religious Freedom in July, the State Department released a formal statement condemning China for its religious freedom violations. However, the statement was only signed by three other nations.